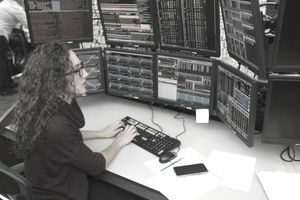 Investors use many different techniques to value equities, ranging from discounting future cash flows to analyzing financial ratios. The price-earnings ratio is one of the most popular valuation metrics due to its simplicity and effectiveness, but investors should be careful when relying exclusively on the financial ratio to make investment decisions. This is especially true when investing in global markets where P/E ratios can vary tremendously. The most popular way to measure value is the price-earnings ratio, or P/E ratio, which represents the multiple of earnings that an investor is paying to own a stock. For example, a 20x P/E ratio means that investors are paying 20 times the company’s annual earnings. Forward P/E ratios take into account expected earnings growth over the next 12 months, which means that they tend to be lower than the P/E ratio for growing companies. These P/E ratios should be considered in context. A 100x P/E ratio may seem high, but if the company is doubling its earnings every year, it might be very reasonable. On the other hand, a company with a 5x P/E ratio may seem cheap, but if it’s earnings are falling quickly, it might not be such a bargain. A company’s P/E ratio may also change depending on external factors, like interest rates, and investors are willing to pay more to own equities in general. When analyzing an entire country, international investors often look at a benchmark index’s aggregate P/E ratio. A great example would be looking at the S&P 500’s P/E ratio to determine if U.S. stocks are overvalued or undervalued. The cyclically-adjusted P/E ratio, or CAPE ratio, is often used in these cases since it takes into account inflation. While this is modest in the U.S., it can have a much larger impact in emerging markets facing more variable inflation rates. Price-earnings ratios may be helpful when looking at valuations, but they don’t tell the entire story and must be considered in context. In fact, there is no correlation between a global stock index’s P/E ratio and its returns during the following year. Valuations may be above average during some years, but that doesn’t mean that a correction is imminent. Investors that base their decisions entirely on valuation can miss out on significant bull markets. Many countries are also consistently over- or undervalued based purely on P/E ratios. For example, the United States tends to command higher P/E ratios than many emerging markets despite its slower growth rates. The reason is that investors are willing to pay a premium for the maturity and stability of the U.S. market. In other words, the risk-adjusted returns might be a lot more similar when comparing low-risk U.S. indexes with higher-risk emerging markets. Price-earnings ratios may also be inflated or deflated based on monetary policy. In the aftermath of the 2008 financial crisis, many developed countries lowered their interest rates to zero and introduced quantitative easing programs. These unusual measures incentivized investors to own equities, which created a supply/demand imbalance. This imbalance would naturally lead to higher P/E ratios assuming that earnings remained the same. There are two important takeaways for international investors when it comes to looking beyond price-earnings ratios to value international markets. The most important takeaway is the importance of diversification. Equity correlations among major countries have fallen to their lowest levels in decades, as of early-2018, making it a great time to diversify a portfolio with international investments. If equities in one part of the world are overvalued, diversification helps ensure that lower valuations in other parts of the world help offset any potential risks and even out portfolio returns over time. The second takeaway is to look at the context behind P/E ratios. If a country’s P/E or CAPE ratio appears high, investors should look at the earnings growth rates and monetary policies that are in place to put it into context. If the valuation appears low, investors may want to similarly look at trends in monetary policy and other factors that could be contributing to the low ratios. Geopolitical or economic risk factors are also important to consider. Price-earnings ratios are a great way to assess a company's valuation on an individual level, where industry comparisons are readily available and external variables are limited, but they are less predictive when looking at different countries. In these cases, investors must have context.